Colonel Harwant Singh was officer-in-charge of the flag-hoisting ceremony on the first Independence Day in 1947. Colonel Harwant Singh (retd), a World War-2 hero decorated with the Military Cross - the highest award of the British Army - died on Tuesday night here at the age of 95. He was officer in charge of the flag-hoisting ceremony on the first Independence Day in 1947. Talks, No Talks again Talks, What Pakistan Policy we have? Before 26 May 2014 when Modi Government took over the reins of power in Delhi, in last fifteen years we have been following the Pakistan policy of talks at any cost a gesture which Pakistan took as our weakness. After Modi government came on the scene India did take an initial tough stand of no talks till Mumbai attack accused in Pakistan are speedily dealt with and Pakistan sponsored terror is put to an end. However in the recent meeting at Ufa between the Indian Prime Minister Shri Narendra Modi and the Pakistani Prime Minister Nawaz Sharif at the side-lines of Shanghai group convention in Ufa, Russia, It appears Modi government is also falling in line with the same old Pakistan policy of talks, no talks and again talks. Time we make up our mind how we want to tackle Pakistan. After Kargil war India decided no talks with Pakistan. However in July 2001 we were again having summit talks with Pakistani President General Musharraf in Agra that failed to produce any results. After American withdrawal from Philippines a void was created in South-China sea region which gave opportunity to China to seize it and slowly increase and strengthen its naval presence. 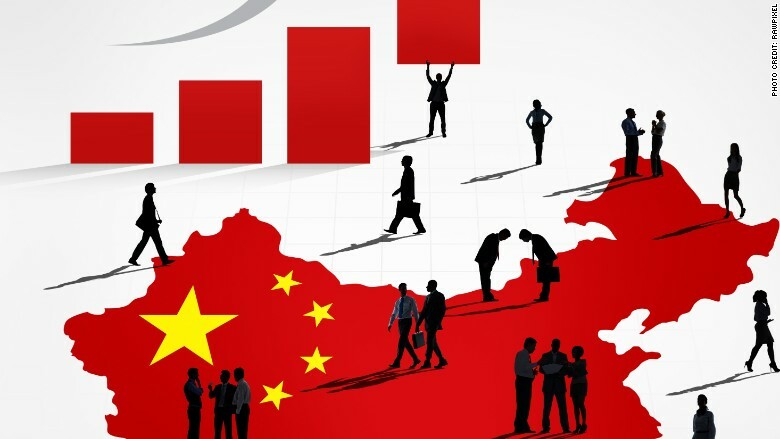 China is world’s second largest importer of oil and oil constitutes 70% mainstay of Chinese industries, home produced coal accounts for other 30%. Chinese oil passes through Africa and Gulf region and their sea line of communication extends from Chinese mainland to Port of Sudan. Close to homeland in South-China sea region it is making territorial claims on islands of Japan, Vietnam etc which clearly shows its expansionist tendencies and policies. Poignancy, laced with a sense of Naga pride and aspirations, can best describe the responses to the August 3 Naga Peace Accord signed between the NSCN (I-M) and the government of India. This can only be understood by talking to those living in Nagaland. On August 4, I received an early morning phone call from Zunheboto town (Zunheboto in Sumi dialect refers to a flowering shrub) in Nagaland. The sober voice of one of my young Naga friends broke the silence across the miles as she whispered, “Sister, finally, we do have closure, right?” followed by a spell of silence pregnant with meaning. I knew that she was brimming with emotions — pride amidst hurt; dignity amidst insecurity. I recalled Martin Luther King, Jr.’s lines from the movie Selma: “this is a demonstration of our dignity”. That is what the Naga struggle has meant to me: a demonstration of the Nagas’ pride and dignity as a people. This, notwithstanding the violence and the insurgency, the fear and the insecurity and a life lived in uncertainty. Naga-inhabited areas resonate with a sense of unique history and culture — the National Socialist Council of Nagaland NSCN (Isak-Muivah) represents both. Dubbing the media as a "very interesting entertainment" for him, National Security Advisor Ajit Doval today advised it to keep "national interest" above everything else. 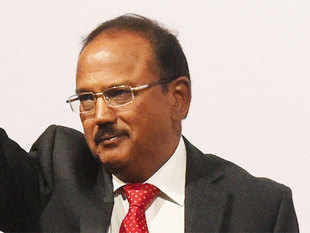 MUMBAI: Dubbing the media as a "very interesting entertainment" for him, National Security Advisor Ajit Doval today advised it to keep "national interest" above everything else. "Media is very interesting entertainment for me," Doval said, responding to an audience query about the media, after the late Lalit Doshi memorial lecture here. "Maybe what they are advising is right, but then how wrongly can right be projected and people remain disinformed," he said. "Probably they (media) also have got their own compulsions. You are writing a newspaper which can sell. You have a TV programme for TRPs. I know my priorities. Why should I try to impose mine on them," he said. "My point is that, at some point, national interest is supreme for all of us. Either we stay together or sink together. 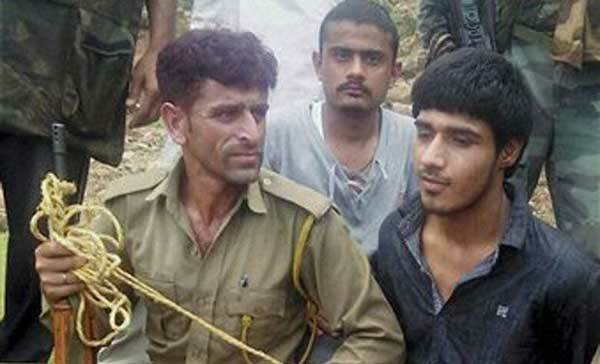 The day we sink, all this freedom of the press will also sink," Doval said. Pakistan has to deal with the 2008 Mumbai mayhem, planned and launched from its soil. This requires facing the truth and admitting mistakes. Pakistan’s concerns in respect of the botched investigation into the Samjhauta Express bombing and alleged covert support to the Baloch insurgency should not only be highlighted but concrete evidence presented to put a stop to such means of non-kinetic warfare resorted to by sleuths from both sides to further their so-called national interests. Whatever the merits or demerits of 1993 Mumbai bombing convict Yakub Memon’s hanging, the one undeniable victim in the hullabaloo has been a fact-based approach to policy — confusing and conflating just about everything under the sun, other than the horticultural merits of growing mangoes, to the hanging. One example of this appeared on this writer’s Twitter feed, demanding a more muscular ‘Israeli-style’ policy on everything from hostages to executions to targeted killings. What is curious about this is that Israel, in fact, exemplifies the many shortcomings of ‘muscularity’ and how legality is in fact an extension of ground-based facts rather than some esoteric morality. There are several interesting trends at play. Of the civilian casualties in the first six months of 2015, 70 percent were caused by anti-government elements and 16 percent by pro-government forces. Most of the remaining casualties are difficult to attribute but occurred in ground engagements between pro-government forces and insurgents. Casualties caused by government forces rose 60 percent over last year, an increase linked, in the report, to an increased number of ground engagements conducted by government forces, and particularly increased use of indirect weapons such as mortars, rockets, and grenades. A joint eulogy that three al Qaeda affiliates issued Wednesday for former Taliban leader Mullah Mohammed Omar, whose 2013 death was only recently confirmed, is as notable for what it didn’t say as for what it did. The statement on behalf of al-Nusra Front in Syria, the Yemen-based al Qaeda in the Arabian Peninsula, and the North African al Qaeda in the Islamic Maghreb, praised Mullah Omar for sheltering Osama bin Laden in Afghanistan and refusing to turn him over to the United States after the 9/11 attacks. It also lauded the former Taliban leader, who is believed to have died two years ago, for allowing Afghanistan to become a school for jihadis “from which lions and thirsty heroes graduated,” according to a translation by the SITE Intelligence Group. Yet the statement failed to even mention Mullah Omar’s successor and former deputy, Mullah Akhtar Mohammad Mansour — a sign the new leader has so far failed to convince al Qaeda militants of his power. Although rumors of the death of Taliban leader Mullah Mohammad Omar have circulated for years—rumors that the Afghan National Directorate of Security even confirmed several times, first in classified communications with its allies and then in a December 2014 public statement—it was only on July 29, 2015, that the Afghan and U.S. governments affirmed that he had died. Perhaps even more surprising, this time the Taliban admitted that Omar is dead, after having staunchly rejected the possibility for years. A group of men detained for suspected Taliban activities are held for questioning at a schoolhouse in the village of Kuhak in Arghandab District, north of Kandahar July 9, 2010. The timing appears odd. Kabul and the Taliban have just recently started meeting officially to discuss a peace process, and acknowledging the death of Omar is not going to help things along. The Taliban tried to gloss over the issue by claiming, through Omar’s younger brother, Mullah Abdul Manan, and his son, Mohammad Yakub, that Omar had just died after a long illness. If that had been true, the timing wouldn’t raise any eyebrows, but U.S. and Afghan sources still insist that he died a couple of years ago. Sources within the Taliban also claim that Yakub has been telling his close supporters that he knew of Omar’s death years ago but was asked by the leadership to keep mum about it lest the rank and file be demoralized. This is in line with what other Taliban sources have been saying for some time. 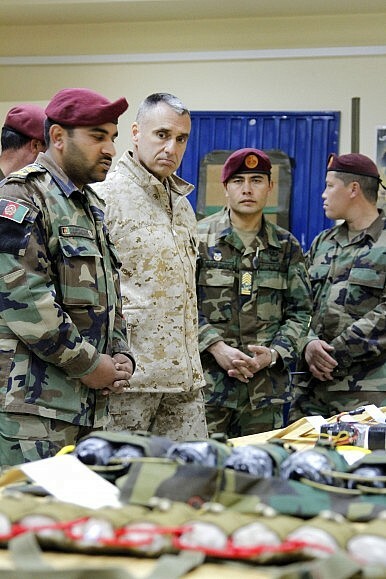 Why the death of Mullah Omar is bad news for Beijing. In a July 30 article in the Global Times, a nationalistic Chinese newspaper, an unnamed analyst warns that Mullah Mohammed Omar’s death will deal a heavy blow to the Taliban. But China may prove to be another loser — Mullah Omar had guaranteed crucial agreements with Beijing in the past, and was seen as providing the best chance that any future peace deal between the Taliban and the Afghan government would stick. Despite China’s misgivings about the Taliban, Mullah Omar was a man they could do business with, one of the last of the leading political and spiritual authorities in the militant world that was willing to pragmatically accommodate Chinese concerns for stability in the restive, Muslim-minority northwest Chinese region of Xinjiang. The resistance by powerful Afghan Taliban leaders and field commanders to the nomination of Mullah Akhtar Mansoor as successor of Mullah Mohammad Omar and his elevation as the new Emir of the Taliban movement has, for now at least, spoiled the elaborate end-game that the Pakistanis had planned in Afghanistan. The talks between the Afghan Taliban and the Afghan government have been put on hold and there is no clarity if they will re-start anytime soon, if at all. And even if they do re-start, there are doubts whether these talks will be able to deliver anything close to peace. 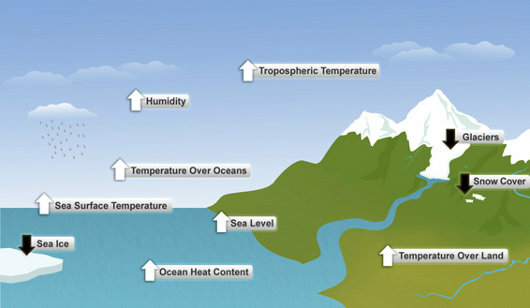 Climate change, if left unchecked, will increase the likelihood of severe, pervasive and irreversible impacts on people and ecosystems. With these words, the world’s scientists have made an impassioned appeal to the world’s policymakers to combat what has been described as the challenge of our times. I started my career as a foreign correspondent in Beirut in 1979. I didn’t know it at the time, but 1979 turned out to be one of the great vintage years for foreign news — particularly from the Middle East. It set in motion the most important dynamics still shaping that region today. In fact, it’s been 1979 for 36 years. And the big question about the Iran nuclear deal reached this month is, Will it ultimately be a break from the history set in motion in 1979, and put the region on a new path, or will it turbocharge 1979 in ways that could shake the whole world? What happened in 1979? For starters, there was the takeover of the Grand Mosque in Mecca by Islamist extremists who challenged the religious credentials of the Saudi ruling family, accusing them of impiety. The al-Sauds responded by forging a new bargain with their religious conservatives: Let us stay in power and we’ll give you a freer hand in setting social norms, relations between the sexes and religious education inside Saudi Arabia — and vast resources to spread the puritanical, anti-women, anti-Shiite, anti-pluralistic Sunni Wahhabi fundamentalism to mosques and schools around the world. Screw moral hazard. Dire warnings from economists and investors hold little water in a situation that’s completely political. Gurbanguly Berdimuhamedov, president of Central Asia’s most isolated state since 2006, made his first visit to Kyrgyzstan this week. The two leaders signed 15 agreements and spoke warmly of growth in the bilateral relationship. Energy featured in the discussions–especially a gas pipeline through Kyrgyzstan to China and the possibility of Turkmenistan supplying electricity to Kyrgyzstan in the future. Kyrgyz President Almazbek Atambayev made a state visit to Turkmenistan in November 2014 and plans to make another in 2016. This December, however, Atambayev says he will visit Ashgabat to help Turkmenistan celebrate the 20th anniversary of its neutrality. Turkmenistan is by far the most closed of Central Asia’s states and one of the most authoritarian–joining Uzbekistan at the bottom of nearly every ranking of press, religious and other freedoms. Ashgabat is the only Central Asian capital that requires citizens from all of its regional neighbors to obtain a visa before entering. 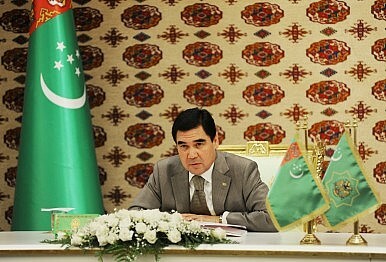 Kyrgyz citizens must travel to either Kazakhstan or Uzbekistan to obtain a visa for Turkmenistan. Last year, the two countries announced that Turkmenistan would finally be opening an embassy in Kyrgyzstan in the “nearest future” but no date was announced. Editor's note: Daniel Byman writes in his August 2 post for the Lawfare blog that using counterterrorism as a lens for seeing the Middle East has helped the United States in several of its success against the al-Qaida core, but argues that this filter has also led to an underestimation of the overall impact on terrorism, as well as hindered an adequate response in general. Using counterterrorism as a lens for seeing the Middle East, as the Obama administration so often does, has helped the United States achieve several important successes against the al-Qaida core and avoided an overreaction to real, but not often existential, dangers to U.S. interests in the region. But this filter has also led the United States to miss threats to broader U.S. interests and underestimate the overall impact of terrorism, and has hindered an adequate response in general. Building on the post-9/11 efforts of the George W. Bush administration, the Obama administration has constructed an effective machine to identify and disrupt terrorists. Much of the effort is built around an intelligence liaison campaign: partnering with countries around the world to gather information on terrorists and then use it to arrest or otherwise disrupt them. Where the government cannot (or at times will not) arrest the suspected terrorists, the intelligence gathered is used for drone strikes, at times on behalf of a weak allied government and at other times in areas where the government is deemed to have lost its sovereignty. Ibrahim al-Asiri, an operative for al Qaeda in the Arabian Peninsula, is internationally recognized as the world’s foremost terrorist bomb-maker. And he isn’t pleased with an Al Jazeera documentary released in June that featured a man describing himself as a former spy inside AQAP alleging that the terrorist group had at times received support from the Yemeni government. The documentary in question, Al Qaeda Informant, is based on the testimony of Hani Mujahid, a Yemeni who claims to have trained in Afghanistan with al Qaeda before 9/11. Facing the ensuing U.S. invasion of Afghanistan a month later, Mujahid says he fled with the terror group to Pakistan, where he claims to have been arrested and interrogated before being released and returning to Yemen. There, he made contact with militants and was eventually recruited as an informant for the government in Sanaa. The U.S. and its allies, after several years of missteps, finally seem to be framing a strategy for combating the Islamic State militarily in Syria, even as they continue to pursue a political settlement with Damascus. The Syrian nightmare is far from over, and supporters of President Bashar al-Assad continue to insist that the regime will survive the turmoil. But U.S. policy now appears to be working in tandem with Russia, Saudi Arabia and Turkey, a rare alignment — although Iran remains a potential spoiler. The biggest change is the U.S.-Turkish agreement on a plan for closing the Syrian border, with a safe zone tens of miles deep that will be secured mainly by Turkish troops. Officials believe this will cut off supplies for theIslamic State’s “capital” of Raqqa, while U.S. and Turkish warplanes pound the group’s fighters from air bases in Turkey. The border gap that must be closed is a roughly 60-mile stretch from the Euphrates River to Kilis, north of Aleppo. The border area east of the Euphrates, around Kobane, has already been cleared by Syrian Kurdish forces from the “YPG” militia, operating with U.S. air support. Much of the examination of the Iran nuclear agreement has focused on the funds that would be released once Iran complied with the terms of the agreement. Some estimates of such funding have gone as high as $150 billion—although U.S. experts put the total at $100 billion and note that some $50 billion of this money has already been obligated. The other side of the story is how relieving sanctions would affect Iran’s oil and gas exports and export income. This will be a function of how soon Iran complies with the terms of the agreement, how the agreement affects the lifting of sanctions, how much capacity Iran can bring back on line at a given time, Iran’s ability to increase future production, the demand for Iran’s exports, and the nature of the world oil market. It will also be affected by the strategic competition between Iran and Saudi Arabia and other crises in countries like Libya and Iraq. There is no way to predict how these variables will interact in a climate as volatile as today’s Middle East, much less the broader mix of uncertainties that shape the world oil market. It is possible, however, to highlight the key features of the Iran nuclear agreement that will affect the timing of the lifting of sanctions, using work done by the U.S. Energy Information Agency (EIA), the CSIS Energy and National Security Program, and other experts on how sanctions have affected Iran’s exports in the past and the possible implications of current trends. Time and time again the concept of being at war with the Islamic State of Iraq and Syria (ISIS) is echoed in print, the media, and talks throughout Washington, D.C. Granted ISIS, or the Islamic State (IS) as they like to call themselves, is a formidable foe on the frontlines however, when contemplating the issues at hand, we are not “at war” with ISIS. We are “at war” with an ideology. This poses the questions: how can we be at war with an ideology, what is it that attracts its members, and can an ideology really be combated? Presently, some intellectuals propose that healing the socio-political issues facing the Middle East will eventually help eradicate the scourge of radical ideologies in the region. Nevertheless, we also heard this theory when al-Qaeda (AQ) was brought to our attention in the 1990s. Additionally, when the Arab Spring broke out in 2010, it emitted a feeling of hope across nations that perhaps this was the catalyst of socio-political change that would spark a new era where brutal ideologies could not flourish. The hope that truly democratic nations would be formed in Middle East and North African (MENA) nations lead some to believe that it could put a cap on the growth of extremist notions such as those of AQ’s. Yet over two decades later since AQ came on the scene and subsequently the Arab Spring fizzled out, we are still faced with violent ideologies. Furthermore, the ideology of ISIS has beendescribed as more radical than its predecessors. Editor's Note: With the war in Syria showing no signs of abating, we republish our Jan. 21, 2014, weekly explaining the complex geopolitics of the conflict. Joshua Oppenheimer’s unsettling new film, The Look of Silence, raises questions about the troubling relationship between global capitalism and western complicity. In 1967, NBC News aired a segment by veteran documentarian Ted Yates depicting what life under Suharto in Indonesia was like. In the footage, tanks rumble across the countryside, firing cannons into the sky, and armed soldiers scatter frenzied, terrified crowds across a city square. The martial sounds and images then give way to a shot of a water tank overlooking a labor compound, the familiar American household name “Goodyear” emblazoned across its side. “Indonesia has a fabulous potential wealth in natural resources. Goodyear’s … rubber empire is an example,” Yates narrates. Next, there are shots of laborers being marched across a plantation by soldiers and being forced to work the rubber at gunpoint. What he and his crew had captured, Yates said, was a “largely unnoticed victory over the communists” — the ouster of Sukarno, Indonesia’s first president, by Suharto, a military officer, some two years earlier. And it’s these scenes from Yates’s 1967 news piece that appear at the beginning of director Joshua Oppenheimer’s new documentary, The Look of Silence, which opened in theaters nationwide on July 31. Oppenheimer has been widely praised by critics and activists alike for his searing and humanizing portrayals of abuses under the Suharto government. His 2012 documentary, The Act of Killing, won a slew of international awards and The Look of Silence — which tells the stories of Suharto’s victims and those they left behind — has received similar acclaim. Is This the End of Ukraine’s Peace Process? Mykola Azarov’s call for early elections and “total regime change” in Kiev was a bit of a head-scratcher. The ousted Ukrainian prime minister, after all, is deeply unpopular in his homeland and—with the exception of Ukrainian prosecutors who want to put him on trial—largely forgotten. But in a high-profile press conference in Moscow on August 3 that was carried live on Russian state television, Azarov announced the creation of a Ukraine Salvation Committee that aims to oust the pro-Western government of President Petro Poroshenko. Kremlin spokesman Dmitri Peskov said Moscow has nothing to do with the initiative. But that has about as much credibility as Peskov’s claim that the$620,000 watch he was photographed wearing at his wedding was a gift. In fact, Azarov’s announcement fits into a pattern that suggests that the Kremlin is giving up on the Minsk accords as a means to achieve its objectives in Ukraine and is shifting to other methods of pressuring Kiev. “It’s tough to make predictions, especially about the future": so goes a Danish proverb attributed variously to baseball coach Yogi Berra and physicist Niels Bohr. Yet some things are so important – such as projecting the future impacts of climate change on the environment — that we obviously must try. In a 2002 press briefing, Donald Rumsfeld, President George W Bush’s Secretary of Defence, distinguished among different kinds of uncertainty: things we know, things we know we don’t know, and things we don’t know we don’t know. Though derided at the time for playing word games, Rumsfeld was actually making a good point: it’s vital to be clear about what we’re unclear about. Joyce Mitchell, the New York prison seamstress who helped Richard Matt and David Sweat escape in June, recently pleaded guilty to smuggling hacksaw blades to the two killers in frozen hamburger meat. 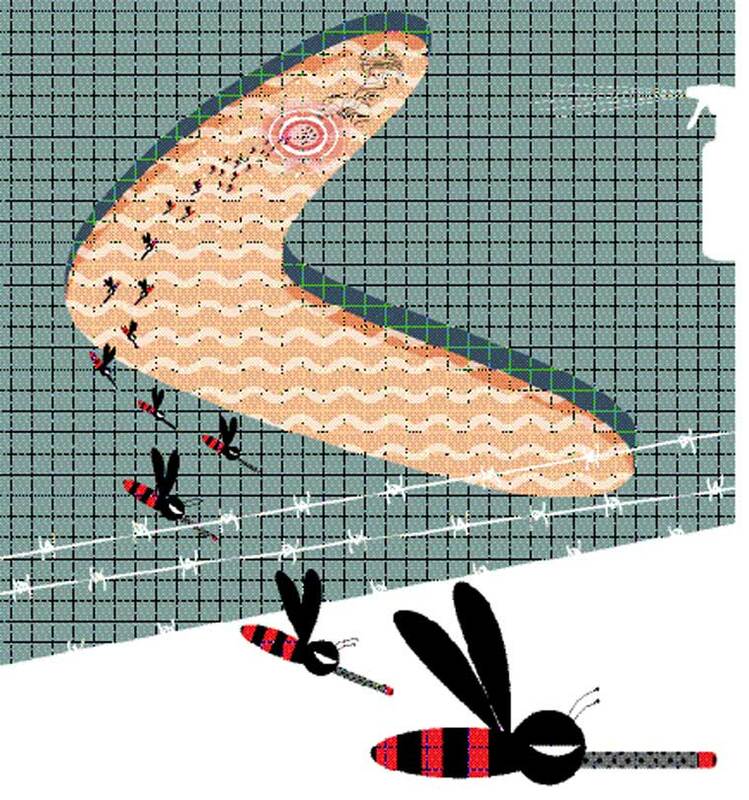 But who needs a prison patsy when you can use a drone? That’s what happened at the Mansfield Correctional Institution in Ohio on July 29. According to an incident report provided to Foreign Policy by JoEllen Smith, a spokeswoman for the Ohio Department of Rehabilitation and Correction, 144.5 grams of tobacco, 65.4 grams of marijuana, and 6.6 grams of heroin were dropped onto the prison grounds by an unmanned plane that afternoon. The news was first reported by the Mansfield News Journal. Here’s what went down, according to Smith’s report: On July 29, at 2:33 p.m., a fight broke out in the prison’s north recreation yard. Security footage reviewed after the incident revealed a drone flew over the yard and dropped its contraband immediately before the melee began. The loot was tossed over a fence into the prison’s south recreation yard by an inmate. The package was later found in an equipment room. It’s still not clear who was operating the aircraft. The report indicates the incident took place on July 27; Smith said it was a mistake, and that it occurred on July 29. In a wide-ranging conversation hosted by Michael O’Hanlon of the Center for 21st Century Security and Intelligence on Friday, July 31, representatives from some of America’s leading defense and services companies—LMI, Deloitte, Pratt & Whitney, and BAE Systems—each gave their take on the future of national security technologies and their revolutionary role in shaping the battlefield of tomorrow. 3-D printing and agile software were just some of the technologies touched upon by the panel. Jim Joyce of Deloitte highlighted the specific benefits to expeditionary military units, such as special operations forces, who could use additive manufacturing to break from heavy industrial base supply chains to support increased maneuver. At the same time, cognitive software could enhance military systems to the point that service members “come to the field with systems that are inherently adaptable,” said Dave Logan of BAE. Eventually, systems such as radios might respond autonomously to their environments in real time and help mitigate adverse conditions. It is one of the unwritten rules of venture-funded technology companies that they should stay as far away from government contracts as they possibly can. Unless they are cybersecurity contracts. In the cyber business, in fact, the federal government can be the ticket to prosperity. Not so much for the amount of money it spends, but because government networks are ground zero for the cyber wars that are being fought on a daily basis and will continue to be waged for years to come. “No other customer has tougher problems,” says former U.S. Marine turned venture capitalist Nathaniel C. Fick. Fick has drawn such conclusions after three years of running Endgame Inc., a 150-employee software company funded by Bessemer Venture Partners, where he remains an operating partner. The firm has bankrolled hundreds of the most successful companies in the United States. In the year 2000, the United States military used Unmanned Aerial Systems (UASs) strictly for surveillance purposes and the global commercial UAS market was nascent. Today, the combination of countries exporting complex UAS technologies and an expanding commercial UAS market advances the spread of UAS technologies outside of U.S. government control. The propagation of this technology from both the commercial and military sectors will increase the risk of sophisticated UASs becoming available to any individual or group, regardless of their intent or financial resources. Current and future adversaries, including non-state actors, are likely to acquire and integrate UASs into their operations against U.S. forces. However, U.S. forces can reduce the advantages of abundant UAS capability by limiting the massing of resources and by conducting distributed operations with smaller maneuver elements. While some fear the Internet will be a primary battlefield for future societies, this alarmism is a bit premature. If ever a technology was awe-inspiring, robotics is it. Robots have a long, storied past in literature, dating back at least to the Iliad — and possibly further back depending on your definition of a robot. Robots have long been widely used in the government and commercial sectors — more so now than ever. But as promising as the technology is in a wide range of areas, air combat is not one of them. The Department of Defense’s interest in unmanned weapons and weapons delivery platforms is understandable, but their actual potential for combat operations is the subject of wild hyperbole. Denmark has been a stalwart ally of the United States since 1999, participating in operations in Kosovo, Afghanistan, Iraq, Libya, Mali, and off of the Horn of Africa, and transporting chemical weapons out of Syria. Last September, Denmark reacted quickly and enthusiastically to the American call to join the anti-Islamic State coalition, contributing a C-130 Herculestransport aircraft early on, 7 F-16s, and 120 soldiers to train Iraqi security forces. The Danish parliament overwhelmingly approved these deployments and the new Danish government of Lars Løkke Rassmussen has pledged to extend the mission when its mandate expires in October, but it is unclear whether the Danish military can continue. The ability of this small country to sustain its deployments for years on end has impressed American defense officials, but it is now cracking under the strain of defense cuts and sustained operations. The latest alarm came from the chief of the Royal Danish Air Force. Recently, Maj. Gen. M.A.L.T. Nielsen said, “We have a group of employees who have undertaken an extraordinary effort. We engaged in Iraq in October 2014 and have flown more than 4,000 hours, more than 410 missions, and have dropped more than 350 bombs.